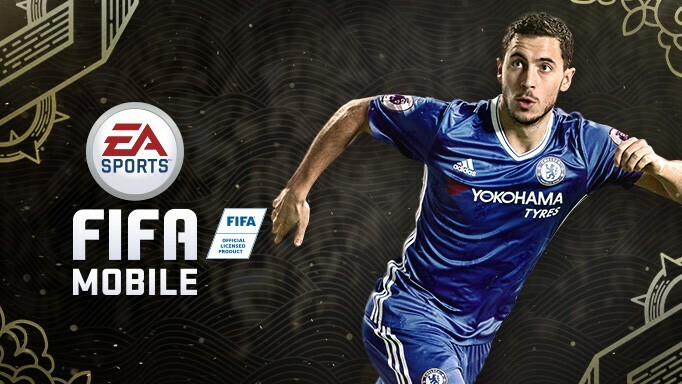 Electronic Arts launches new season of the mobile version of FIFA - for Android devices, iOS and Windows Phone - FIFA Mobile, a title designed for mobile users who want to experience the FIFA, but do not have time to play on a console. Maybe it seems a strange idea because mobile devices still can not recreate 100% the feeling of playing on the console, however, the concept of FIFA Mobile is so well done, that anyone can enjoy it. To date, most smartphone titles have tried to recreate, without much success, the gaming experience of consoles, but FIFA Mobile presents a mechanics thought of the lifestyle of mobile users. Here, the concept is basically a turn-based game where the player only participates when he is on the offensive. The idea is to play a game against the Ultimate Team of any user; Choose 1 of 3 strategies and then play the first half which can last between 75 and 90 seconds. When finished, the game goes to the opposite, who has 24 hours to answer the attack. Then the second half continues and so on until the game ends and the 2 teams complete their turns. According to the FIFA Mobile producer, this allows users to play when they can without worrying about matchmaking, lag or the fact that someone cheats using exploits. FIFA Mobile uses the same scheme as Ultimate Team to create the teams, so you will not start with players with great attributes. To improve your squad you will have to follow one of these methods: buy envelopes with the coins you get when you win a game or with FIFA Points that you buy with real money; through temporary challenges (live events or plans); or using the market where you can get specific players that sell other users and the application works as an intermediary to make the transaction fairer. Thanks to the fact that the franchise has the license of more than 30 leagues, 650 teams and 17,000 players, FIFA Mobile gives you an authentic experience and variety in the creation of teams. It's just a matter of looking for your favorite stars and start competing. The key to making FIFA Mobile accessible is offering different control options that we present below. Auto Play: arm your team as you want and let the players play alone. They will move intelligently and will pass and pull according to their judgment. This mode is for those who like to manage squads and not control players in the field. Controls by gestures: touch the players and open spaces to start passes, then slide your finger across the screen to shoot at goal. The faster you slide the finger, the stronger the shot will be. You can make shots with effect, direct and others. Gesture controls take Auto Play to another level. Also, in FIFA Mobile you can change control as many times as you want without stopping a game. FIFA Mobile works with a wide variety of mobile devices and is very light (100 MB), so you will not mess up your data plan if you do not download it from a Wi-Fi hotspot. If that were not enough, the title will be available in several languages, including Spanish. All you need is a device with iOS 8.0 (minimum), Android 4.1 or Windows 10 Mobile. If you have Android you can register here so that the download will be automatic the day you leave. If you have an iOS or Windows Phone device you will have to wait for FIFA Mobile to be available. Also, a easy way for you to gain FIFA Mobile money fast is to buy cheap FIFA Mobile Coins on U4GM. If you want to buy cheapest mobile coins, just make sure to spare some time to join in our site.